All Stars Media posted Thursday November 8, 2018. The Mainline DynoLog Dynamometers All Star Series rolls into Murray Bridge Raceway this Saturday night for RD2 of the West Coast Concreting $2,500 King of the River. 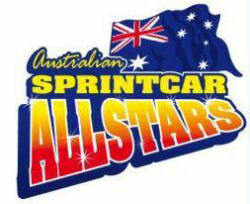 “This is the home track for all our South Aussie teams and they love the opportunity to compete there. Murray Bridge has been a fantastic supporter of 360’s over the years and it’s great that we get the chance to compete there twice this season.” says Searle. SA44 Dan Evans in the Evans Transport Maxim took out the win last weekend and will be hoping for a repeat. Evans was fast at Mildura breaking the track record and with Trevor Green fine tuning things will be one to watch. SA96 Brendan Guerin & V29 Michael Tancredi placed 2nd and 3rd at Mildura and will both want to go one or two better. Former Series & State Champ SA33 Mark Caruso is experienced at the Bridge in both 360 & 410’s and home track knowledge is sure to help. SA990 Michael Lovegrove makes a return to the series for the night. Series regular SA69 Cody Atkins also makes a return after securing an engine last weekend. The team have worked hard through to week to get both car and engine ready. After destroying his Cool chassis last weekend at Mildura SA16 Jack Gartner and team have been burning the midnight oil this week repairing and restocking and a good result will make this effort worthwhile. Young Rookie Ben Morris in the Phil March owned SA3 J&J team have also had their work cut out for them. Morris went for a big ride last weekend and with major damage to the car have rebuilt and keen to go again. With the usual All Star giveaways, posters, driver autograph signing it will be lots a family fun. On track action starts from 5.00pm for Hot Laps Saturday November 10th.